From a very young age, girls want to look beautiful and attractive. However, this is not an easy task, it takes a lot of work and patience to stay in shape and look attractive. We must constantly stick to a healthy diet to have a beautiful body and skin. We also need to do various cosmetic procedures and buy beauty products to make our face look fresh, young and beautiful. 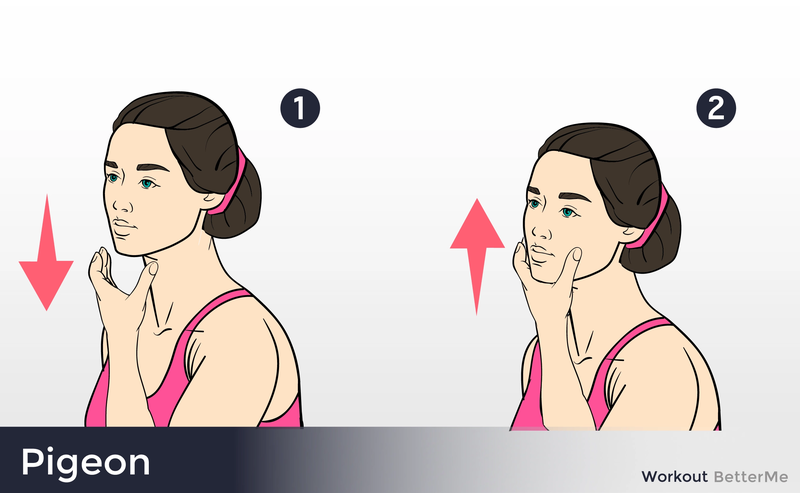 One wrong step, and you can gain extra pounds or get acne. Therefore, female beauty is a very laborious work. Do you agree with us? However, despite all the contribution to beauty, some women face problems that cosmetics can not solve. For example, when the skin around the neck and chin is saggy. 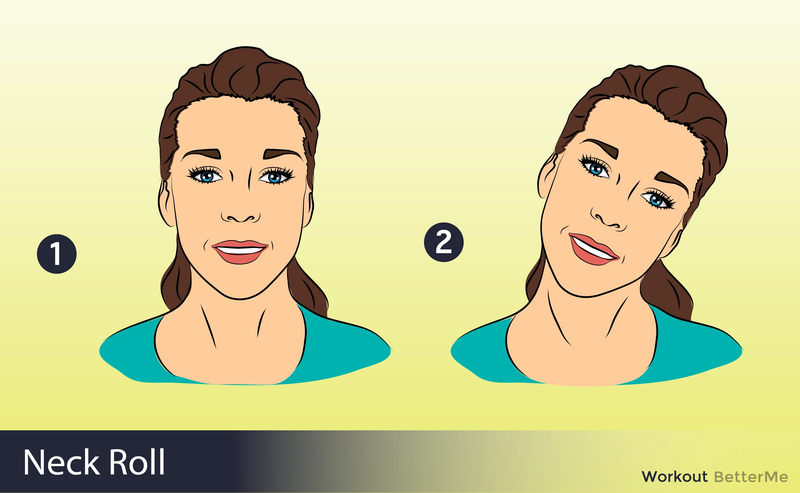 The second chin is something that can spoil the attractiveness of your face, and also hit your self-esteem. Even if your body is an attractive shape, and you’re sticking to a proper and healthy diet, you can still face this problem. What is the reason? Over time, the skin loses collagen elasticity, causing it to sag around the neck and chin, a process that begins about age 20. This is facilitated by many factors, such as sun exposure, smoking and poor diet. 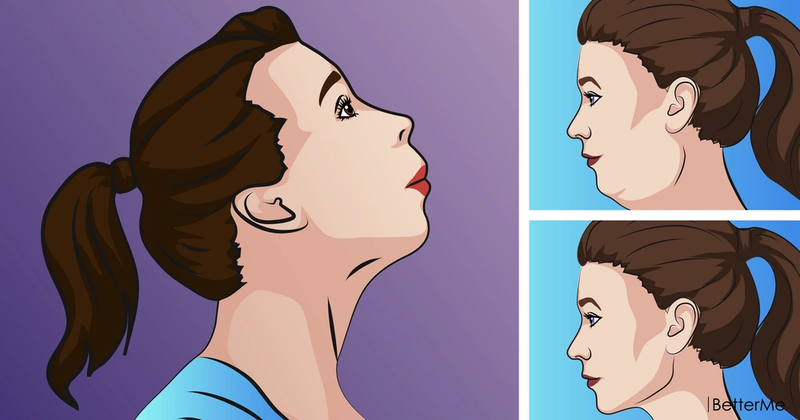 What can you do if you have a second chin? Some women go to extreme measures, referring to a plastic surgeon for help. 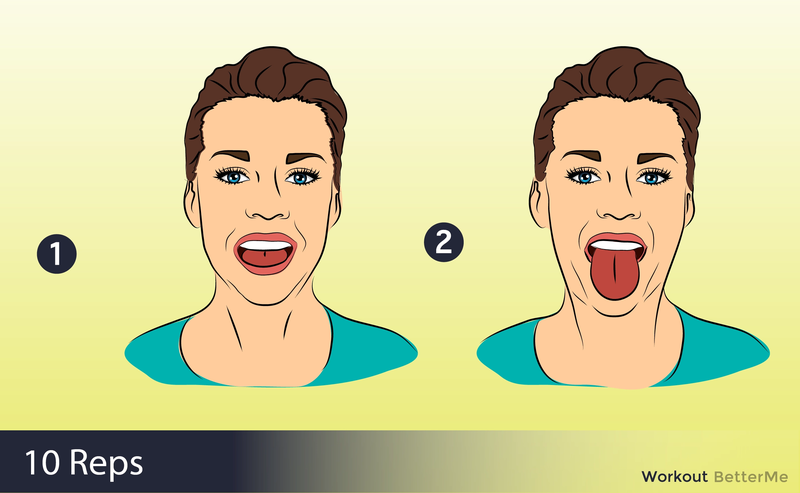 We think that this is a very dangerous method, since plastic surgery is a kind of challenge that has its consequences. There is another safer way to get rid of the second chin, like toning exercises. 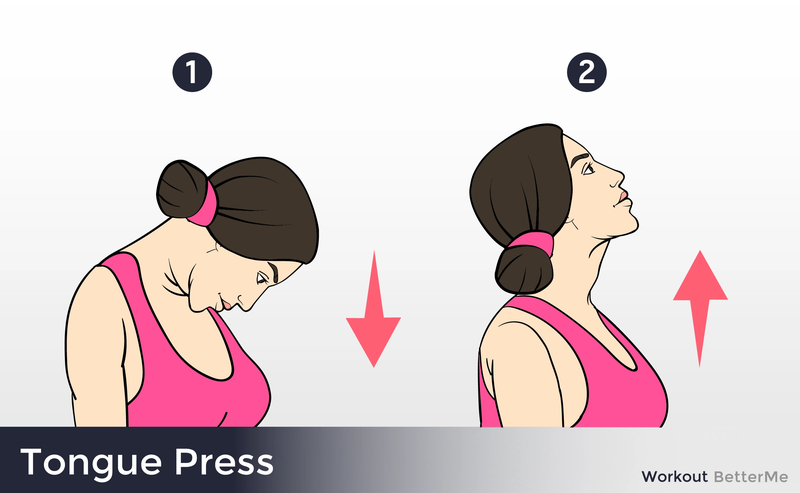 That is why we have prepared a list of the top 7 neck and chin toning exercises. 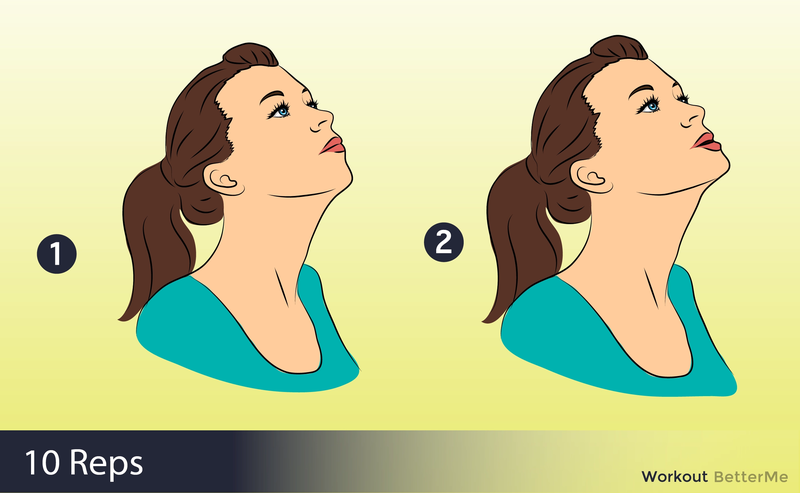 Toning the neck and chin can help pull the overlaying skin tighter for a younger, healthier look. Just add a few targeted exercises to your workout, and you will surprised by your reflection in the mirror. 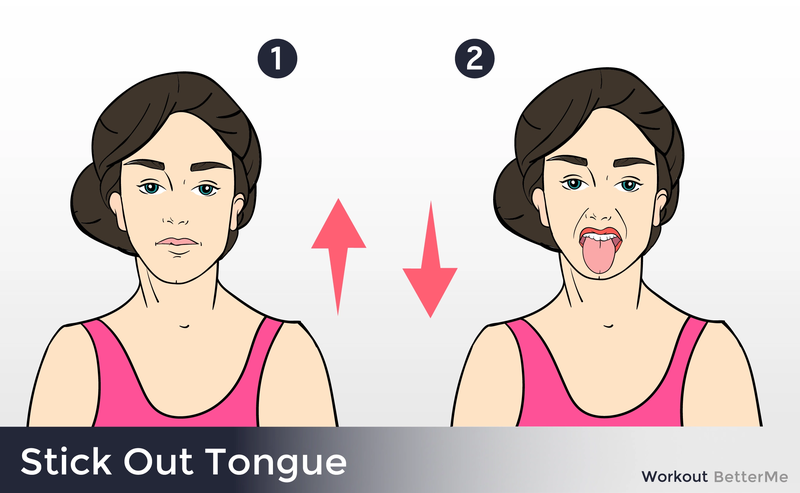 Scroll down, ladies, and you will see how to perform these moves correctly.